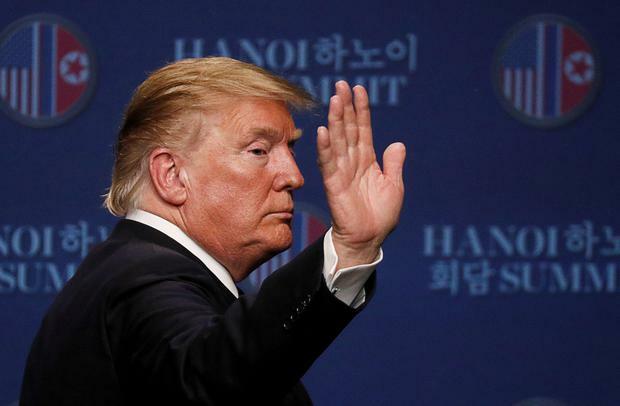 US President Donald Trump criticized his former attorney Michael Cohen on Thursday for lying in testimony to Congress but found reason to praise him, too, for not alleging Trump’s campaign colluded with Russia in 2016. Trump, speaking at a news conference in Vietnam after failing to achieve a peace deal with North Korea’s Kim Jong Un, called the blockbuster hearing back in Washington fake and said it should not have been scheduled during his trip. "He lied a lot," Trump said. "He didn't lie about one thing, he said 'no collusion'." Cohen testified on Wednesday, calling Trump a "conman" who knew in advance about the release of stolen emails aimed at hurting his Democratic rival in the 2016 election campaign. Trump criticised the timing of the hearing saying it should not have been happened while he was on an important overseas trip, and it could easily have been postponed for a few days. "Having a hearing like that, really was a terrible thing," he said. Trump has called an investigation into possible collusion between Moscow and his presidential campaign a “witch hunt”. Cohen, 52, was a close aide of Trump for years and his testimony could increase the legal and political pressure on the Republican president. But Cohen did not appear to disclose a "smoking gun" that could sink his former boss. Cohen said he had no direct evidence that Trump or his campaign colluded with Moscow during the election campaign. Cohen will talk behind closed doors on Thursday to a congressional panel investigating Russia's interference in the 2016 U.S. election, capping an explosive week of testimony in which he leveled new allegations of wrongdoing at his former boss. 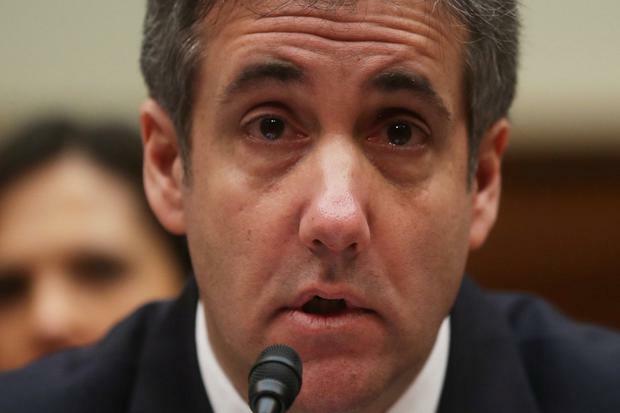 In his third and final Capitol Hill session this week, Cohen will testify, starting at 9.30 am ET (2.30pm GMT) and going all day, to the House Intelligence Committee. It has been probing Russian election meddling and any collusion with the Trump campaign. It will follow dramatic public testimony by Cohen on Wednesday before the House Oversight Committee, in which the one-time "fixer" for Trump accused the president of breaking the law while in office and said for the first time that Trump knew in advance about a WikiLeaks dump of stolen emails that hurt his 2016 election rival Hillary Clinton. Democratic House Intelligence Committee Chairman Adam Schiff said in a tweet on Wednesday that he planned to dig into the Trump Moscow project, the revelations about Wikileaks and any White House role in Cohen's prior false statements. "Today Cohen provided the American public with a first-hand account of serious misconduct by Trump & those around him," Schiff said. "Tomorrow we'll examine in depth many of those topics." At Wednesday's hearing Cohen said Trump never explicitly told him to lie to Congress about the Moscow skyscraper negotiations. But Cohen said he believed he was following implicit directions to minimize their efforts on the tower. Possible collusion is a key theme of Special Counsel Robert Mueller's Russia investigation, which has dogged the president during his first two years in office. Trump has repeatedly denied the allegation, as has the Kremlin.